Hi humans! 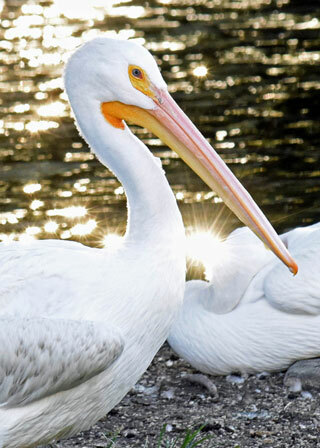 My name is Peter the Pelican, and Carlita invited me on here as a guest blogger to give you the low-down on seafood from my bird’s eye view. Mothers know best and my mom showed me one of my favorite places to find an easy meal: the fish farm. Now, fish farms are a little like the images of farms in your bird-brained memory. While there isn’t a big red barn, there are still lots and lots of “crops.” Instead of the crop being corn or soy, however, these farms grow fish. Salmon, my favorite, has often been farmed in open pen net farms. 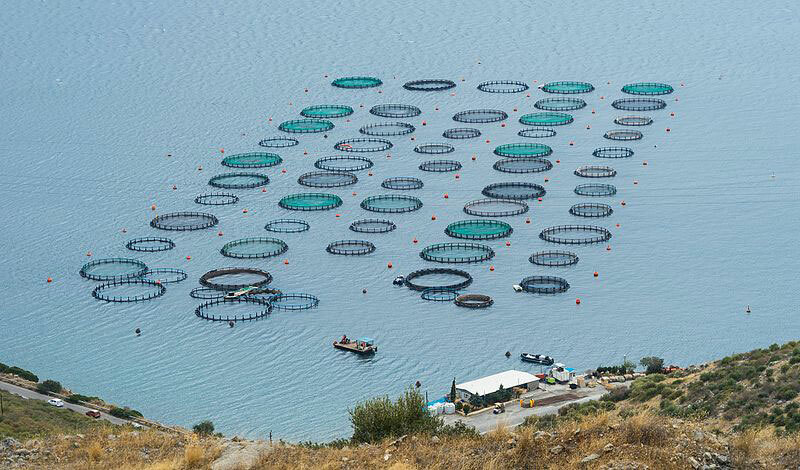 With this type of farming, large pens made of netting are placed right in the ocean. The pens are then stocked with the fish to be farmed, and then are raised right in their pen that’s floating in the ocean. 1. Location, location, location! If the fish is farmed in an open net pen, part of being “sustainable” means making sure the pen is located in an area where there are no sensitive fish populations. Sensitive fish don’t cry, sensitive fish could become extinct if they lose their habitat. 2. Try Something New! Some of these fish can be farmed in closed systems, meaning land-based systems, whose waste does not drain into the open ocean and can be filtered out before polluting water. 3. Helpful Cleaners: Other species, like mussels and clams, can be grown around the net pens to help filter and absorb some of the waste produced by the fish in the pen. Think of these guys like an environmental clean-up crew. Unfortunately, there are some fish farmers who aren’t so sustainable. These fishmongers will over-crowd the pens used to contain their crop. This crowded living situation increases the fish’s chances of contracting disease. Plus, since the pens are in the open ocean, ocean water can carry the diseases and parasites to other fish living nearby. What’s more, the pen’s netting can become damaged causing farmed fish to escape into the open ocean. Escaped farmed fish can cause a lot of problems and put additional pressure on the wild fish populations living nearby by eating the other fish, outcompeting them for food or infecting them with their disease or parasites. You can help the ocean and all of its inhabitants by choosing fish that are sustainably farmed. You don’t need to do much work. Other humans have made the job easy for you. 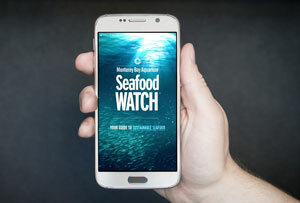 The Monterey Bay Aquarium’s Seafood Watch initiative has created a sustainable seafood guide to help you make smart decisions. You can pick up this guide when you visit my friend, Carlita, at Brookfield Zoo or you can easily download the Seafood Watch app to your phone. Healthy choices for your family and the ocean are only one click away.